Attend “Star Wars Night”, You Must! 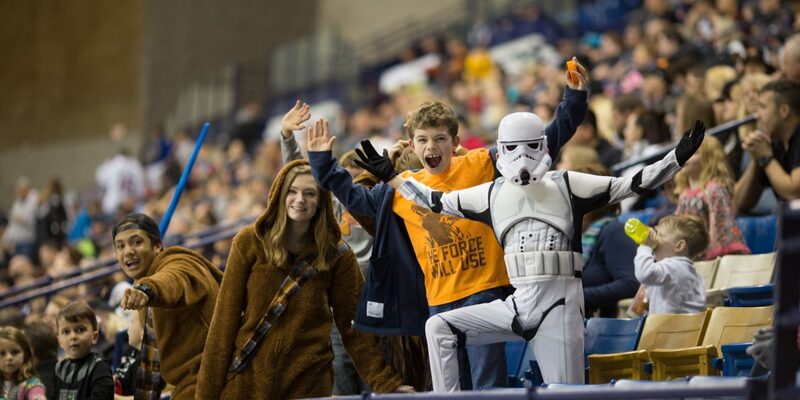 Fayetteville Marksmen > Blog > News > Attend “Star Wars Night”, You Must! 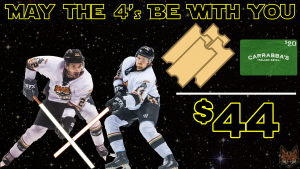 A GALAXY NOT SO FAR, FAR AWAY, FAYETTEVILLE, N.C. – The Force is strong in Fayetteville on February 23 at 6 P.M, as our battalion of Marksmen Stormtroopers look to defend the Crown against the invading rebel-scum of the Pensacola Ice Flyers. You can help lead us to victory, as we’re looking for the biggest Star Wars fans to come out and join us! We’ll be suiting up in the white-clad Stormtrooper armor, adorned with our proud logo brazened on the front. 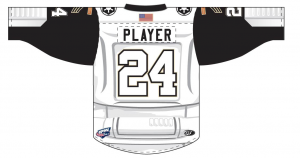 With these superior jerseys, we will look to wipe out the Ice Flyers – all of them. These jerseys will be up for LIVE-AUCTION following our epic-battle, with over 27 chances for you to take home one of these one-night-only relics of our war. Fans at the game will also be given the exciting chance to WIN one of the night’s jerseys in our JERSEY OFF THE BACK RAFFLE – with one ticket for $5, and six tickets for just $20. 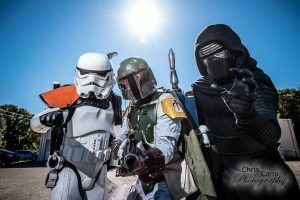 Joining us for the night will be all of your favorite heroes and villains from the epic Star Wars saga, as they’re brought to life by the Carolina Garrison of the 501st Legion. This will be especially beneficial to our cause, as the 501st prominently features Stormtroopers and members of the Dark Side of the Force. Finally, we’ll have a limited-number of Marksmen light-up Laser Swords for sale at the game in various colors. These will run for just $10 and will be a necessity for all the Jedi (or Sith) of your family. Don’t miss out on your chance to be blasted off to a galaxy far, far away – get your tickets to Star Wars Night today! 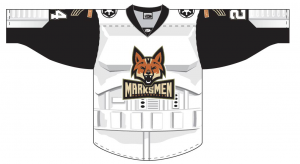 Help us, Marksmen fans – you’re our only hope! JOIN US ON FEBRUARY 23.